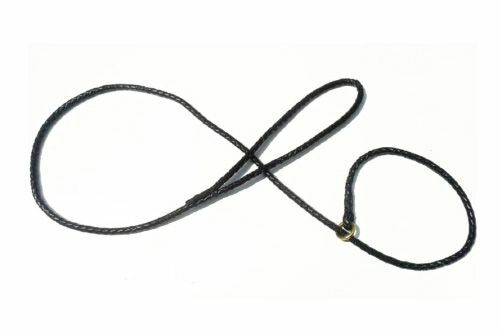 Made exclusively by Luxway Canine Supplies, these rolled leather Dog Leads are perfect for the show ring. The soft round leather is not only comfortable to hold, but also limits the flattening of the coat on all breeds. I bought this lead for showing and had so many comments from other gundog exhibitors !!! Its fantastic , different, and lucky !!!! Thanks so much i will be buing more .